Motel is open year round! 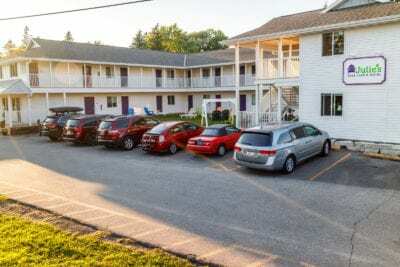 If you are looking for motels in Fish Creek, WI, check out Julie’s Motel. We are a family- and dog-friendly Fish Creek motel & cafe. We are located just minutes away from all Fish Creek has to offer, including the best in Door County restaurants. 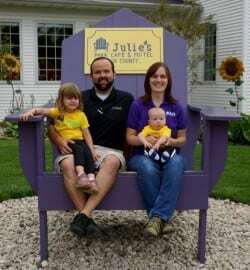 Julie’s Motel is a 10-minute drive from popular Egg Harbor, and 35 minutes from Sturgeon Bay, Wisconsin. Our new motel is in the same footprint as the previous motel, right next to our café. 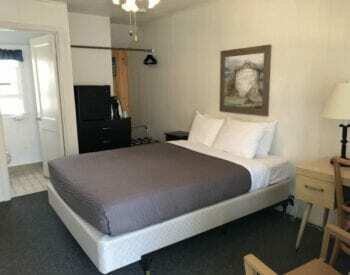 2 story motel (no elevator) – Please let us know if you need a first floor room when making the reservation. Please let us know if you have allergies and can’t be moved into a pet friendly room. Every season has something special to attract visitors to Door County. From the awakening of spring, to summer’s refreshing breezes, to autumn’s panorama of spectacular colors, to the quietness of winter… we have it all! Looking for dog-friendly vacation ideas? 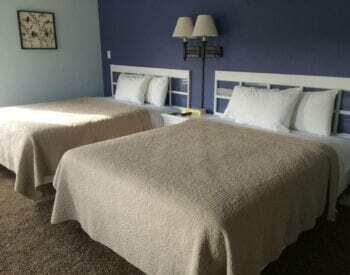 Whatever your pleasure, we are here to provide cozy, convenient Door County lodging, and to make your stay in Door County a memorable one. We look forward to seeing you soon. Some two-night and three-night minimums apply. Rates do not include applicable taxes. Rates subject to change without notice. 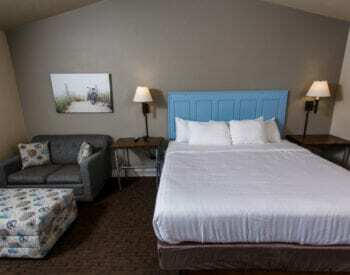 One night deposit required to reserve a room (Room rate plus tax). Balance is due upon check-in.